On December 13, 2018 at 12:30PM, officers of the Atwater Police Department responded to the intersection of Fourth Street and Drakeley Avenue regarding a report of shots fired in the area. When officers arrived on scene, they made contact with a female victim who reported that a male, identified only as “Enrique,” had fired a shotgun at her residence after a dispute. Officers at the scene were able to obtain leads on both the suspect and the vehicle he was driving. Atwater Police Detectives, with the assistance of allied agencies, were able to identify the suspect and obtain a warrant for the suspect’s arrest. Atwater Police, assisted by the Merced County Gang and Narcotic Task Force and the Merced County Sheriff’s Department, located and arrested Enrique Samano, 42-year-old, of Atwater at a location in Hilmar. During a search incident to the arrest, a 12 gauge shotgun was found in the vehicle. 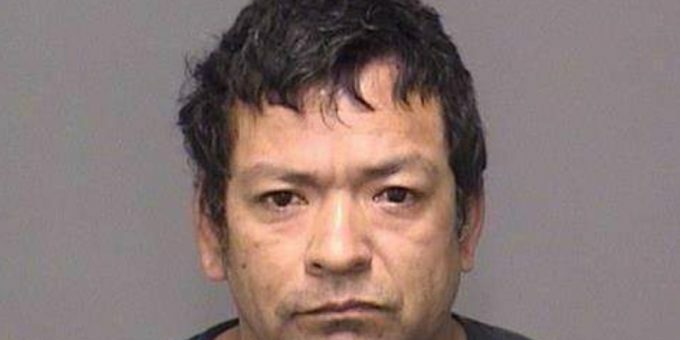 Samano was booked in the Merced County Jail for Shooting at an Inhabited Dwelling.